The new (upcoming in October) trip-o-delic thing from Ukrainian project Creation VI, FYI. Pre-order your 32-min cassette here. Release notes: "Modern science still does not know for sure what came first — music or human speech. Either first words were born out of imitations of sounds of nature, or out of gestures; what part played primitive religious faiths and cults in it. Only one thing is clear — at the very beginning rhythm, sound and word formed a whole. In this album there are rituals from humanity’s archaic past, fears and insights of primitive people, a feeling of indivisible unity with earth and sky, wind and stone. Touch on the genetic memory, a way through the darkness of millennia to the primary source of everything we create now. For the album’s recording we used a voice and a breath, stones and palms, everything that can be tapped and everything that can make noise. Withered leaves, acacia seedpods with seeds, branches, insects swarming and creeping and birds singing. And of course we used singing bowls and the jaw harp." 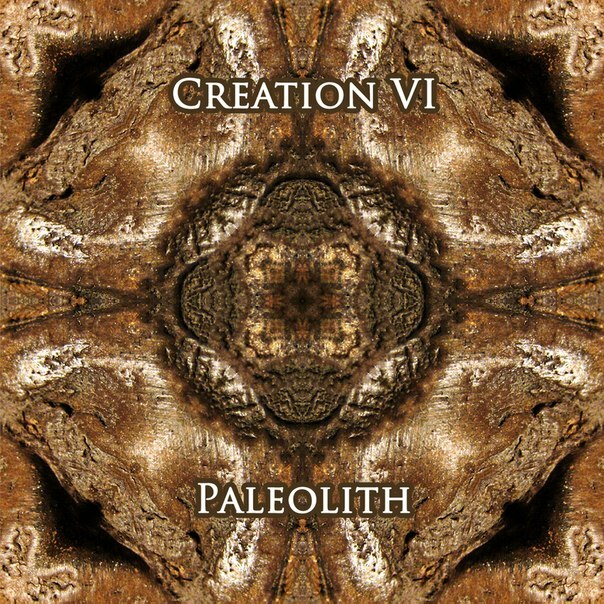 Creation VI is an ambient/drone project for Ukrainian sound artist Tim Six (check his cool fractal artwork at his FB page), started in 2006. The main aim of the project is to discover the properties of music as a tool for expressing nonverbal concepts. The first such notions arise in philosophy, mysticism and of course, in all kind of creativity. Power of ambience is practically inexhaustible, so every aspect in which there is a need of musical thinking, finds its particular expression. so the music of Cretion VI may vary from dark and ritual ambiences to weightless, transparent drones.